Tollywood Star Actor Nagarjuna’s young son Akhil Akkineni made his debut in 2015 with film ‘Akhil’ which was a disaster at box office. Akhil took a long break to finalise his second flick after his debut. 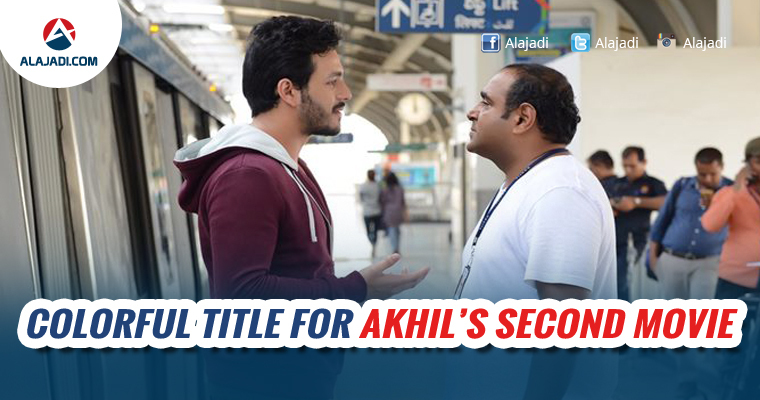 Akhil has started his second film directed by Vikram Kumar fame of Manam, 24 and Ishq. Recently, The actor recently took to Twitter to announce the release date of his upcoming flick. Recently, The actor recently took to Twitter to announce the release date of his upcoming flick. He tweeted, “DECEMBER 22nd it is. Can’t ask for a better month. Time to shift gears and start speeding towards the date. The whole team is pumped up!!!”. Now, Akkineni fans and audience are waiting for the title and first look of this film. Earlier it was rumoured that the producer Akkineni Nagarjuna has fixed the title Junnu and later condemned by Nag in his Twitter. Now Annapurna Studios registered an interesting title Rangula Raatnam with the Film Chamber. Ever since the title has been registered, there are talks that Nag registered Rangula Raatnam for Akhil’s second film. This flick has completed 60% of its regular shooting. The flick also features the daughter of filmmaker Priyadarshan and veteran actress Lissy, Kalyani Priyadarshan as the female lead. The film is produced by Nagarjuna Akkineni under the banner, Annapurna Studios. Akhil – The supernatural drama, to be on screen on Dasara!